How to watch Marvel's Agents of S.H.I.E.L.D. : Season 5 (2017) on Netflix Portugal! Yes, Marvel's Agents of S.H.I.E.L.D. : Season 5 is now available on Portuguese Netflix. It arrived for online streaming on October 2, 2018. We'll keep checking Netflix Portugal for Marvel's Agents of S.H.I.E.L.D. : Season 5, and this page will be updated with any changes. 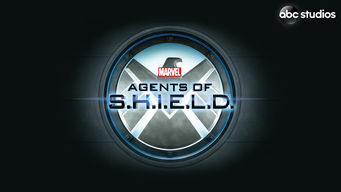 Season 1 of Marvel's Agents of S.H.I.E.L.D. has 22 episodes. Because different Netflix countries have different availability for episodes, you'll need to check the episode listing below to see which are available in Portugal. To track an unknown enemy, agent Phil Coulson assembles a select group of agents from the worldwide law-enforcement organization known as S.H.I.E.L.D. Coulson runs into Comandante Camilla Reyes when he and the agents travel to Peru to investigate a mysterious object. When brilliant scientist Dr. Franklin Hall is kidnapped, Agent Coulson and his S.H.I.E.L.D. team must race against the clock to locate him. Agent Coulson and the team track down a mysterious woman who has single-handedly committed numerous high-stakes heists. 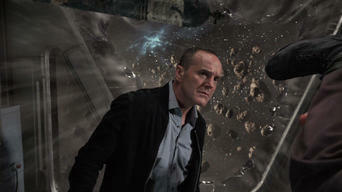 Coulson and the team try to rescue a young man with an unusual and dangerous power. Skye has a secret that jeopardizes her relationship with the team. When floating bodies turn up, Coulson and the agents of S.H.I.E.L.D. must hunt down an elusive killer. No one is safe -- not even the team. Agent Coulson works the system to save Ward and Fitz when they're sent on a Level 8 classified mission. In the aftermath of the events chronicled in the feature film Thor: The Dark World, Coulson and the S.H.I.E.L.D. team try to pick up the pieces. Coulson and his team are haunted by a mysterious force that threatens to destroy them all, and only a secret from May's past can save them. In a shocking cliff-hanger, Coulson takes the war back to Centipede, and this time he brings in Mike Peterson for some supersoldier support. Coulson uncovers vital information about the mystery of his death, but with Centipede out for blood, the knowledge may come at a great cost. Coulson and May uncover startling information about Skye's past, while the team is swept into a storm at S.H.I.E.L.D. Academy. Hot on the trail of the Clairvoyant, Coulson and his team board a mystery train that seems headed for certain death. On a quest to save Skye, Coulson enlists the aid of Ward's former supervising officer -- and uncovers shocking truths about himself and S.H.I.E.L.D. When deadly seductress Lorelei attacks Coulson and his team, Thor's Lady Sif, Lorelei's longtime nemesis, steps in to try to save them. 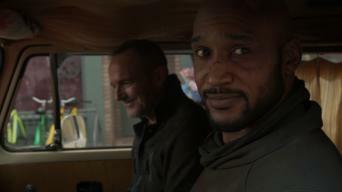 Agents Garrett and Triplett are back to help Coulson's team track down S.H.I.E.L.D. 's nefarious enemy -- the Clairvoyant. Coulson and his team find themselves without anyone they can trust, only to discover that they're trapped with a traitor in their midst. With Col. Glenn Talbot now on their trail, Coulson and his team take refuge and begin to uncover S.H.I.E.L.D. 's most dangerous secrets. When the life of Coulson's true love is threatened by Hydra, the team must undertake a perilous mission to save her. Agent Maria Hill returns to help Coulson as what's left of S.H.I.E.L.D. collapses due to the efforts of Hydra. While Ward recalls his first time meeting Garrett, Coulson and May infiltrate Cybertek and uncover details about Garrett’s past in Project Deathlok. With his team severely debilitated, Coulson pulls out all the stops to put an end to Garrett and the forces of Hydra. Season 2 of Marvel's Agents of S.H.I.E.L.D. has 22 episodes. Because different Netflix countries have different availability for episodes, you'll need to check the episode listing below to see which are available in Portugal. As Fitz's mental issues worsen, Coulson sends Skye and other S.H.I.E.L.D. 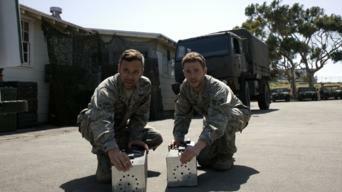 agents to retrieve the Obelisk, a Hydra weapon stolen during World War II. 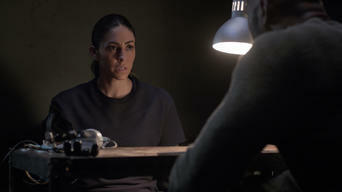 General Talbot captures Hunter, then offers him a deal to betray Coulson, while May pursues Creel, who has absorbed the Obelisk's deadly powers. Coulson and his team compete with Hydra to recruit Gill, a volatile gifted with cryokinetic skills, and the loyalty of Hydra mole Simmons is tested. Coulson and Talbot vie to acquire an ancient church painting with mysterious engravings, while Agent May pursues brainwashed Hydra spy Agent 33. 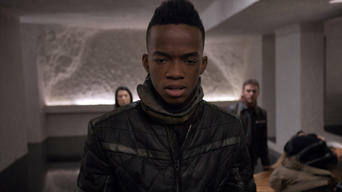 Raina sees Simmons contacting Coulson about the Obelisk, now controlled by "The Doctor," and threatens to expose her unless Coulson offers protection. S.H.I.E.L.D. 's future is in question after Hydra mercenaries impersonate them to attack the United Nations and Senator Ward orders an investigation. When an unstable man starts murdering former S.H.I.E.L.D. agents and carving alien glyphs on them, Coulson seeks answers in Hydra's memory machine. To reclaim the Obelisk, Coulson and the team dig into Hydra's evil past, while Ward kidnaps his brother and confronts him about a childhood secret. Half of Coulson's team undertakes a frantic search for the alien city's entrance while the other half risks all to rescue Raina from Hydra's clutches. Once inside, S.H.I.E.L.D. agents race to destroy the alien city before Hydra can lay claim to it. Skye uncovers a shocking secret about her past. After Whitehall's death, Hydra vows revenge against Coulson, while Skye tries to cope with the aftereffects of her newfound earthquake abilities. Coulson and team help Lady Sif, who lost her memory after fighting a mysterious warrior, while Bobbi and Mack plot their next secret moves. To destroy S.H.I.E.L.D., Cal gathers its enemies to form a team of supervillains. May asks her therapist ex-husband to help Skye control her gift. 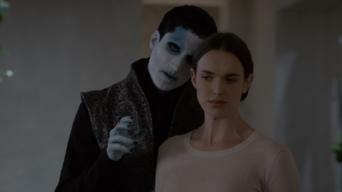 With Ward's help, Agent 33 tries to undo Whitehall's alterations, while Bobbi and Mack reveal their allegiance to Hunter and the "real S.H.I.E.L.D." 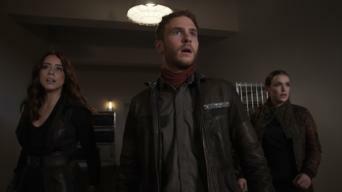 Coulson and the team confront Bobbi and Mack about their allegiances, and a still-struggling Skye gets advice from a strange but powerful source. Loyalties are tested when Gonzales insists that the Fury toolbox be opened. Skye learns more about her powers from Inhuman transitioner Lincoln. Caught between S.H.I.E.LD. 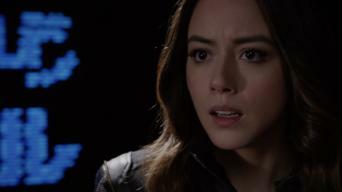 factions, May reflects on her troubled history with Coulson, and Skye makes a startling discovery about her heritage. Desperate to infiltrate Hydra, Coulson and Hunter offer the captured Ward a deal, while Skye finds herself trapped between her warring parents. 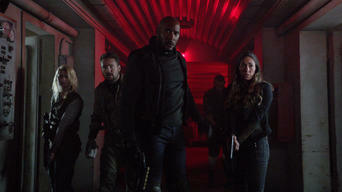 With help from Bakshi, Coulson leads a team into the Hydra base. To save Lincoln, as foreseen by Raina, Gordon guides Skye back to S.H.I.E.L.D. Thanks to Coulson's world-saving helicarrier, the S.H.I.E.L.D. factions unite, but tensions between Skye's mother and Gonzales come to a brutal head. Jiaying convinces Skye and the Inhumans to fight against S.H.I.E.L.D., but Coulson sees through her deception and plots to save Skye and her father. Led by Jiaying, the Inhumans attack the S.H.I.E.L.D. ship, intending to kill all humans, and Coulson's team must infiltrate the ship to stop them. Season 3 of Marvel's Agents of S.H.I.E.L.D. has 22 episodes. Because different Netflix countries have different availability for episodes, you'll need to check the episode listing below to see which are available in Portugal. Coulson and S.H.I.E.L.D. discover the existence of a rival organization that also seeks Inhumans. Fitz takes drastic steps to find Simmons. 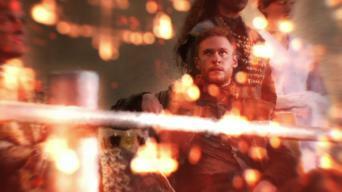 Fitz and the team enlist an Asgardian to unlock the monolith's secrets. Lance hunts for Ward, who is rebuilding Hydra. May reaches a crossroads. 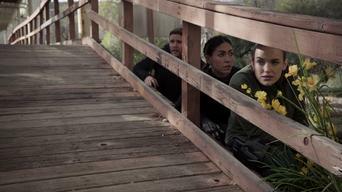 Daisy, Mack and Coulson help Lincoln as he flees from Rosalind and the ATCU. Lance plots the infiltration of Hydra. Fitz helps Simmons readjust. Coulson makes an agreement with Rosalind. The agents pursue Lash, an Inhuman killing others of his kind. Lance prepares to meet in person with Ward. Simmons recounts the story of her time on Maveth, the inhospitable alien world where she was a castaway, and the mysterious stranger who saved her. May returns to duty and enlists Bobbi to go after Ward and Hydra. Daisy and Coulson suspect that ATCU's second-in-command, Banks, has a secret. May learns the truth about Andrew. Fitz retrieves information from Simmons's phone that could save Will. Daisy and Rosalind tour the "Zephyr One." Coulson uses his growing relationship with Rosalind to uncover the truth about ATCU's plans for the Inhumans. Ward learns the real purpose of Hydra. Coulson vows revenge after a devastating attack. 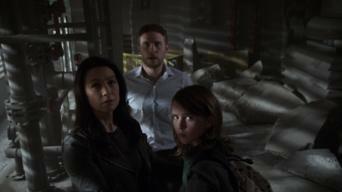 Fitz and Simmons are taken captive by Ward's forces and prepped to travel through the portal. The forces of S.H.I.E.L.D. and Hydra clash both on Earth and the distant world of Maveth, where a final reckoning unfolds between Coulson and Ward. After meeting with President Ellis, Coulson's more determined than ever to defeat Hydra. Daisy and the team discover more Inhumans with unique powers. Coulson and General Talbot attend an international conference about Inhumans where they discover that Gideon Malick has planted a spy in their midst. On the trail of Gideon Malick, Bobbi and Lance travel to Russia and become embroiled in an assassination and coup plot, threatening their lives. A group called the Watchdogs emerges to wipe out Inhumans, but the team traces its true origins. Simmons discovers an important chemical compound. Thanks to a momentary touch by an Inhuman, Daisy glimpses a dark future. Hive wipes out a corporate board. May must bid Andrew farewell. Hive calls a meeting of Hydra leadership to reveal his true self and teaches Gideon a lesson in loyalty. Daisy reveals more of her future vision. Daisy sends the Secret Warriors on their first mission: rescuing Coulson and his team from Hydra. The agents discover a traitor among them. 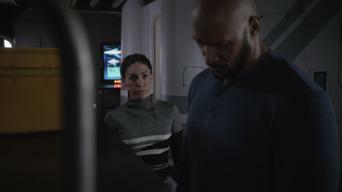 Fitz, Simmons and Mack seek out a transhumanist scientist who may know how to stop Hive. An injured Coulson tries to rescue Daisy. Hive's sinister plan for humanity is revealed, while Coulson and a strike team move to stop him. Lincoln volunteers to take a risky antitoxin. Events move closer to fulfilling Daisy's tragic future vision as the Sokovia Accords go into effect, forcing the registration of all Inhumans. The final showdown between S.H.I.E.L.D. and Hive begins as the clock ticks down toward a devastating missile launch. Daisy is wracked with guilt. As the war between Hive and humanity comes to an epic conclusion, one S.H.I.E.L.D. team member makes the ultimate sacrifice to save the world. Season 4 of Marvel's Agents of S.H.I.E.L.D. has 22 episodes. Because different Netflix countries have different availability for episodes, you'll need to check the episode listing below to see which are available in Portugal. Coulson joins forces with Mack to track down Inhumans, May steps into a new role, and Ghost Rider makes a fiery first impression on Daisy. Coulson gets to know the new boss while Daisy bites off more than she can chew. May's problems multiply as she grows increasingly paranoid. Coulson, Mack and Fitz pursue a rogue group with a sinister agenda. Elsewhere, blackouts hit multiple cities, and Mace tries to calm the public. Coulson and Mack seek help from an unlikely ally. Ghost Rider's quest for revenge takes an explosive turn. Daisy tracks the Watchdogs. The Ghost Rider threatens to overpower Robbie. S.H.I.E.L.D. takes on a new mission inside a prison. Mace makes a deal. Robbie reveals the truth about how the Ghost Rider came to be. Mace sends Simmons on a secret assignment. Fitz tracks Lucy. S.H.I.E.L.D. deals with the aftermath of a devastating loss, Ghost Rider feels the pressure, and Coulson searches for a way to get home. With the fate of Los Angeles at stake, Mace pulls out all the stops in the fight against Morrow. Ghost Rider and S.H.I.E.L.D. form an alliance. Disturbing new developments threaten to engulf S.H.I.E.L.D, but Coulson remains in the dark. Aida searches for the Darkhold. Coulson and Mack learn a shocking truth, and Mace suffers a close call. Meanwhile, Fitz starts a secretive side project. Daisy and Mace attend a contentious Senate hearing, Coulson and Yo-Yo are caught where they shouldn't be, and Mack opens up about his past. Coulson has a problem when Agent Koenig is abducted by the Watchdogs. The Radcliffe LMD faces down some aggressive questioning. Coulson and Mack track down the mysterious Agnes Kitsworth. Mace and Daisy search for a way to trap and contain a powerful foe. While Mace struggles to stay alive, Coulson and the Agents of S.H.I.E.L.D. attempt a bold and desperate rescue. LMDs are everywhere, and S.H.I.E.L.D. can no longer be sure who is real and who isn't. Later, the agents enter an alternate reality. Within the Framework, anything can happen, including a world run by Hydra. Daisy and Simmons discover a shocking secret. Daisy and Simmons struggle to find a way back to the real world. Meanwhile, the leader of the Resistance is finally revealed. Simmons reveals her history, and Coulson tries to atone for a past mistake. Mace and May engage in a battle with severe consequences. Daisy and May make a break for it. S.H.I.E.L.D. and Hydra engage in a war of propaganda. Simmons's investigation leads to a terrifying conclusion. Time is running out for the Agents of S.H.I.E.L.D. to escape the Framework. Simmons's visit to see Fitz's father doesn't go as planned. The team scores a victory, but the celebration is cut short. Later, Fitz makes a painful admission, and Aida gets in touch with her emotions. In the season finale, an old ally returns, Coulson and May have an awkward chat, and Ivanov announces his plans for Darkhold. Season 5 of Marvel's Agents of S.H.I.E.L.D. has 22 episodes. Because different Netflix countries have different availability for episodes, you'll need to check the episode listing below to see which are available in Portugal. Coulson and his crew wake to find themselves trapped on a spaceship, with no recollection of how they got there and no clue what to do next. 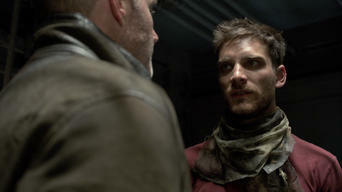 Deke advises Coulson and company to blend in and work hard while looking for a way home -- advice that's easier said than done. Simmons receives an unenviable task. Coulson continues to puzzle over Virgil's cryptic notebook while the team falls under suspicion. As their captors' sinister objectives come into focus, Coulson weighs his options and questions Deke about what happens on Level 35. After Coulson and company disappear from the diner, Fitz is taken into custody and begins an incredible adventure to save the team. While the Kree push forward with their sinister plan, Coulson and the team cross paths with a powerful new ally. Simmons and Fitz share a moment. With their escape plan compromised, Coulson and his team are forced to improvise. Flint faces a difficult choice. Kasius makes a move. 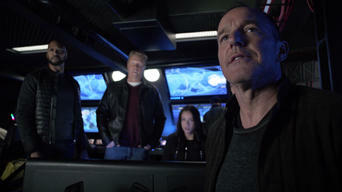 Aboard the Zephyr, Coulson and the Agents of S.H.I.E.L.D. discover that their futures depend on someone from their past. 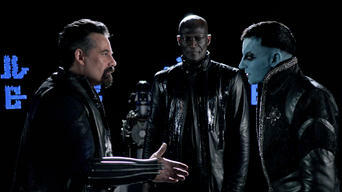 As Flint, Mack and Yo-Yo lead a resistance against the Kree, the gravity storm puts the Zephyr and its passengers in peril. Facing their last chance to return to their own timeline, Coulson and his team brace for every possibility -- especially the bad ones. Following a dangerous journey, Coulson and the Agents of S.H.I.E.L.D. discover that things aren't as they remember them. Fitz clues Coulson and May into General Hale's plan. Later, Coulson comes clean about his agreement with Ghost Rider. Alex shows off his talents with a frightening display. The team searches for gravitonium in hopes of sealing the rift. Yo-Yo grows impatient with her recovery progress. Coulson confronts General Hale. Fitz searches for an advantage against a familiar foe. General Hale's history comes into focus. Later, Coulson is faced with a momentous choice -- and neither option is appealing. 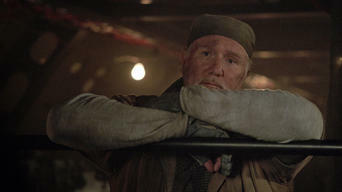 Creel begins to have second thoughts after attempting to absorb the gravitonium. Simmons and Daisy struggle to see eye to eye about Fitz. Coulson and Talbot trek through the mountains with Ruby close behind. Meanwhile, Daisy and the team take a calculated risk. The Agents of S.H.I.E.L.D. search for a way to stop Ruby from destroying Earth -- a feat that may prove impossible. 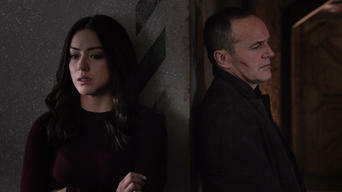 As Daisy and Yo-Yo argue over past decisions, Coulson strives to maintain order, and Talbot has a moment of recognition. Coulson and a reinvigorated Talbot visit Qovas's ship for a high-stakes meeting. Mack crosses paths with an enemy that may have information. While Daisy wakes to bad news and Qovas tries to put Coulson and May in their place, Fitz and Simmons ponder a plan to save one of their own. With Coulson's fate hanging in the balance, the rest of the agents realize that someone might need to make the ultimate sacrifice.